Remarkably, Jesus called out the Pharisees and religious types repeatedly for their loss of what mattered most. While they were dead set in following the law to the T, Jesus was all about letting love out abundantly. The schism between these two in Jesus’ time often seemed great. It still is, in many ways. It is not that the law is bad; it is not. It is surely good. However, when the letter of the law triumphs over love in a way that restricts the heart of God, this creates problems. My heart here at Purposeful Faith is to feed you the heart of God day-in and day-out. Yet, to do it five days a week, I am coming to realize, feels more like abiding by a rule of daily law than impromptu love. I think back to the stories throughout the bible. So many times, religious, pious or scholarly folk missed Jesus’ heart. He’d reply to them with wisdom, instruction or the way to go and they’d either rebuke him, walk away from Him or miss the point entirely. A couple things came to me: pray bigger, love better, encourage more and open the doors to new writers. You can expect all this in the New Year. You can also expect less weekly blog posts (3-4 times a week), with more exposure to me via video prayers and encouragement on social media. What would you like to see from me? What topics would you like me to cover? How would you like to connect? What sort of video encouragement would you like to receive? Let me know. 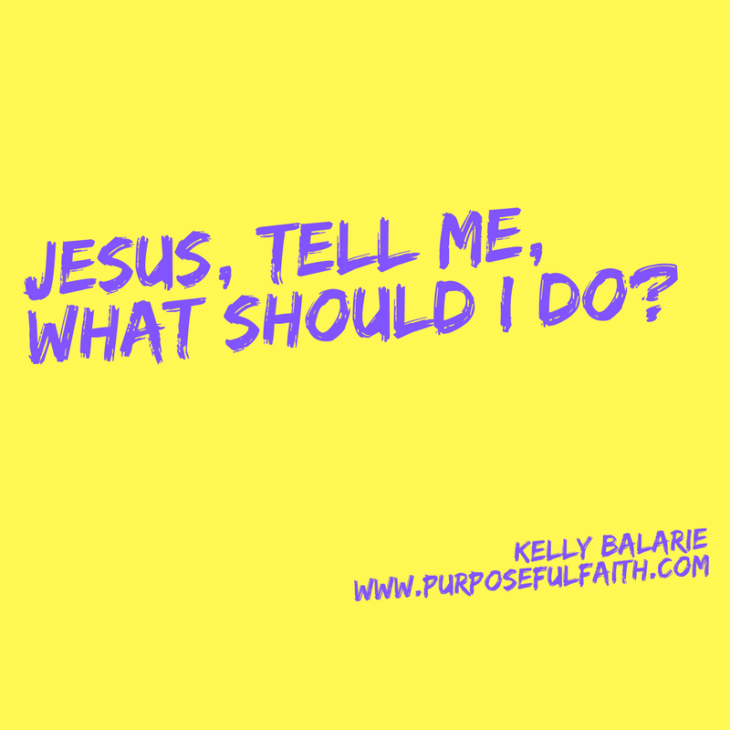 And, beyond this… what if you were to ask Jesus this New Year, “Teacher, what should I do so I love those around me well?” You might be astonished what he says. Well said. It is so easy to get caught up in the “shoulds,” and even self-imposed rules, only to lose sight of our true purpose. That is what the Lord did love people well, yet all would not listen. I want to thank you for your posts Kelly. You say the things that some of us think of feel and struggle with. Your posts make such a difference in my days. May God bless your ministry and your family in the coming year. I was wondering how you did it all. I love your posts but everyday while great for us, would become a chore after so long. Listen to God for sure, and I will be happy whenever you send a post. I get a lot out of them. You and I sound a lot alike. Thanks for everything!